Tracy and Joe Cooper were hosts of the event. 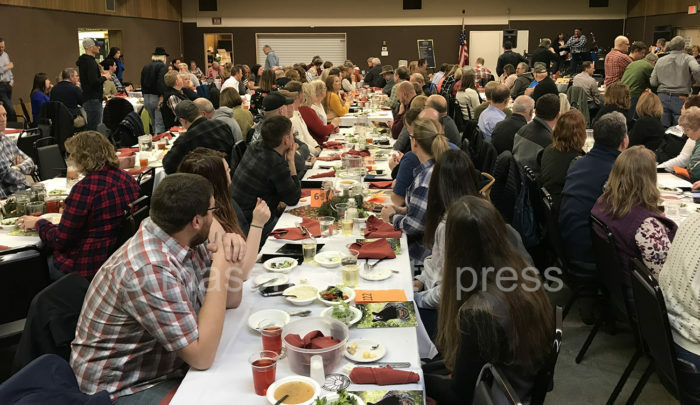 SCOTTVILLE — Those affected by a cancer diagnosis in Mason and surrounding counties will have additional respite, relaxation and support with funds raised Saturday evening at the Spectrum Health Foundation Ludington Hospital’s Foraged Feast event at the Scottville Optimist Center. 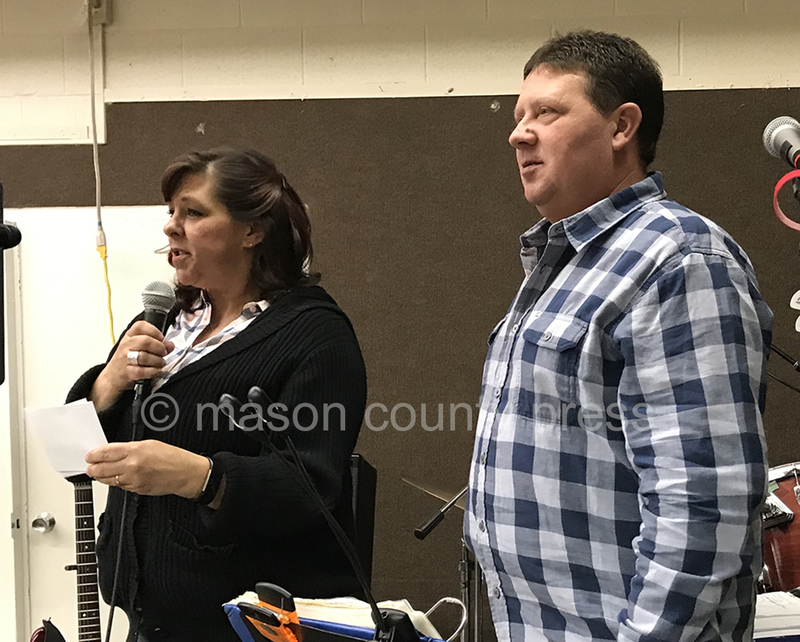 Approximately $40,000 was raised at the blue jeans, craft beer and wild game event, held in February each year by the Ludington Hospital and this year hosted by Joe and Tracy Cooper, of Riverton Township. The funds will support a new Cancer Patient Wellness Program, a complimentary spa and salon service for cancer patients that incorporates cosmetology services, massage and an information library as part of the hospital’s Cancer Center. Scott Smith, president of Smith & Eddy Insurance Company and Bob Budreau, associate broker of Greenridge Realty Ludington serve as co-chairs of the Spectrum Health Foundation Ludington Hospital board of directors. Both said they believed the event was successful.